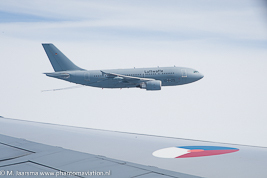 The European Air Refuelling Training (EART) is an exercise organized by the EATC. 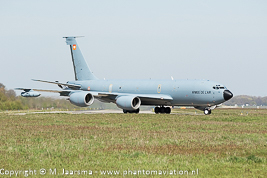 Its first edition was held in 2014 at Eindhoven Air Base. 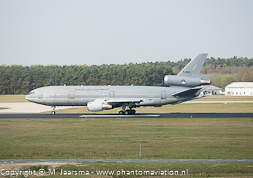 Although its planned to use the EART concept with other exercises in Europe so far only one exercise per year was organized which have all been held at Eindhoven AB and run simultaneously with the RNLAF fighter exercise Frisian Flag held at Leeuwarden Air Base. The exercise runs two weeks in March and/or April depending on Easter. The exercise provides both the EART and Frisian Flag participants of AAR and enables the EART crews to complete their own training objectives. Will be held from April 1-12. Prior to the exercise the Italian Air Force cancelled its participation. The French Air Force C-135FR flew the first mission of EART 2018 and then departed back home. 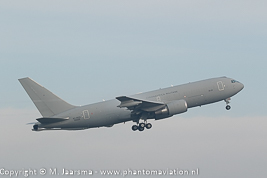 Two days later also the USAFE KC-135R left without any mission flown. The Italian Air Force only participated for one week.